You might call Friday’s first round playoff victory a complete effort for Hahnville. The Tigers, Class 5A’s No. 12 seed, downed Comeaux in six innings by the 10 run rule, 10-0, doing it on the back of four home runs and a combined no hitter by pitchers Hailey Beard and MacKenzie Kliebert. Makenna Cortez slammed two home runs, including a three-run shot in the sixth that capped off the game. Montana Smith hit a solo home run. 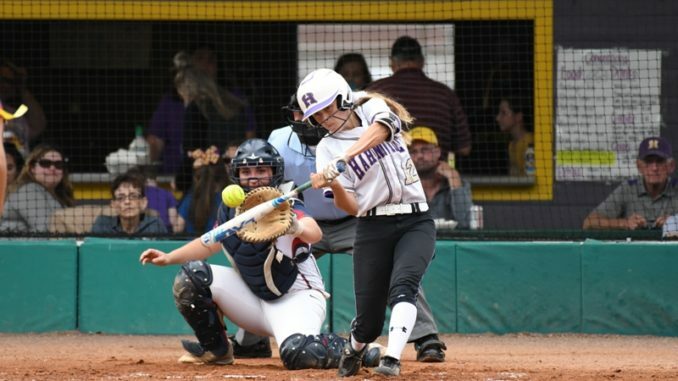 And Kathryn Smith, who put Hahnville on the board early with a home run blast, cemented herself as the single-season home run record holder at Hahnville, notching her 11th of the season. All in all, not a bad day for Hahnville. Hahnville will travel to face the winner of No. 28 New Iberia and No. 5 Ouachita Parish’s first round game. A win in that game would cement a quarterfinal matchup at Hahnville. It was the second year in a row Hahnville (22-9) hosted Comeaux (16-11) in round one, both carrying the same result. But the Lady Tigers took nothing for granted. She didn’t necessarily know her own strength on her game-ending blast. 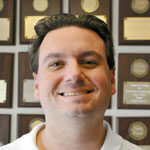 Nugent said seeing a familiar team can be a double-edged sword. Smith, who also has the school record for consecutive games with a home run after hitting one out in five straight earlier this season, set the single season record one year after the Tigers virtually re-wrote its offensive record books in 2018. She said after a brief slump following her initial home run surge, she refocused on her mechanics and got back into a groove. The homer was her second in as many games. Cortez reiterated a theme the Tigers have carried throughout a season that they began feeling like something of an afterthought following the 2018 teams run to the Class 5A final.